With a traditional server infrastructure, you’ll have one operating system installed on each server. The software compatible with the server will depend on what operating system is installed on it, which in turn is also affected by the hardware. In comparison, virtualization allows the operating system to be abstracted, meaning that it’s capable of running outside the hardware using an emulated copy hosted in a layer of software called the hypervisor. In other words, one physical server can do the work of many. What’s So Great About That? Prior to the implementation of virtualization, the direct relationship between hardware and software could be complicated and problematic. For example, configuring software was a particularly challenging task, and so was trying to move software to a different piece of hardware. This could complicate tasks, but with virtualization it is much easier to scale a solution to your specific needs with little-to-no impact on performance. Network virtualization: A virtual network can be broken up into smaller and more easily managed pieces. These can be assigned to channels and their resources for whenever they are needed. Server virtualization: A server can be more flexible when it’s virtualized. Think about it like this: it’s more simple for a user to utilize, as it can provide improved resources for the user. The server also has the ability to improve capacity to grow alongside your business’ future needs. 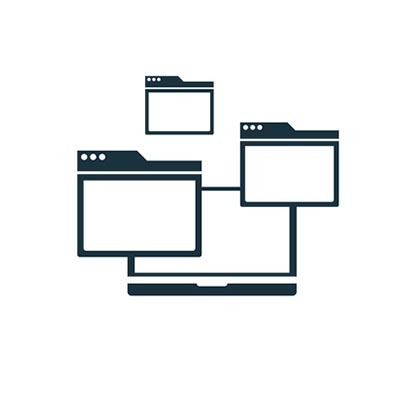 Desktop virtualization: Desktop virtualization allows your business to simulate a desktop on a hosted server, rather than gathering the right device for the job. This means that a “workstation” can effectively be accessed on any connected device. Storage virtualization: You can store data in a virtual environment for easy access on any approved device. This type of virtualization pulls multiple types of physical storage solutions together to create a single unified location for the data. Data virtualization: By abstracting things like location, format, and performance from a data set, this data set is able to be assigned broader access. Application virtualization: If you remove the application from the operating system through abstraction, you no longer need to depend on whether it’s compatible or not with the operating system to use it on your device. Network Solutions Unlimited can help your business ensure virtualization goes off without a hitch. To learn more, reach out to us at 217-428-6449.